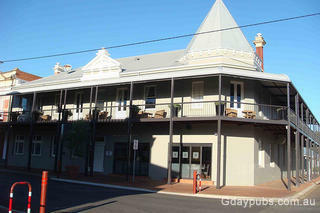 Castle Hotel Historic Pub with motel and classic Pub style accommodation. Enjoy dining, bottleshop, outdoor areas and a swimming pool. Claims the oldest existing inl;and hotel in Western Australia. York Hotel Previously known as the York Palace Hotel. Accommodation - Hotel Style Dinners Wed to Sun.